The British grocery retailer “Iceland” recently pledged to eliminate plastic packaging from all its store-brand products by 2023. With over 800 store locations, the move will make a significant dent in the United Kingdom’s disposable plastic consumption, and set the bar for other national and global retailers. The chain plans to replace plastic packaging with fully recyclable paper and pulp trays and paper bags over the next five years, and has already removed plastic straws from its inventory. Iceland is the first major retailer in the world to go plastic-free on its own label products. The company also pledges to refuse plastic packaging used by other brands unless it’s fully recyclable. 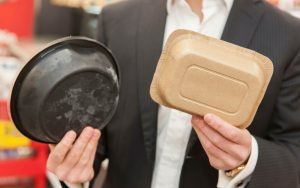 The announcement came a week after Prime Minister Theresa May pledged to eliminate “all avoidable plastic waste” within 25 years and called on all supermarkets to offer “plastic-free” aisles. A survey showed 80 percent of the supermarket’s customers support the move. 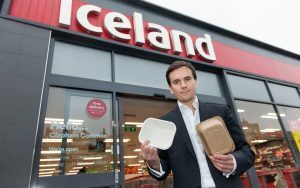 “The world has woken up to the scourge of plastics,” Iceland’s managing director Richard Walker told The Telegraph. RELATED: Time for a Global Ban on Disposable Plastic? Of course not yet. Did you read the article? It says the goal is by 2023. What a knob! Read the article dickhead! The word ‘back’ is missing here….. as in going back to the way the world has been for ever. This article sounds like we were born using plastic and it’s a natural thing.it would have been more interesting if you’d said the first supermarket to openly recognise how stupid they’ve been for the last 30 years…… note… 30 years… not for the whole of history.